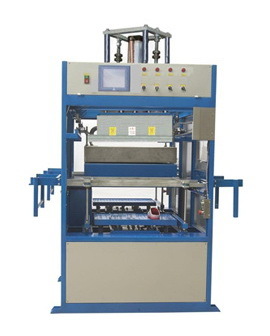 3D HEAT TRANSFER MACHINE - NEILSON HOT STAMPER MACHINERY CO.,LTD. The Vacuum heat transfer technology could replace the Water transfer technology, because of the low cost, higher capacity. The Vacuum heat transfer printing could apply on irregular shape items. Such as lap taptop, MP4, shoe, carware, hoseware, daily products, building materials...etc.